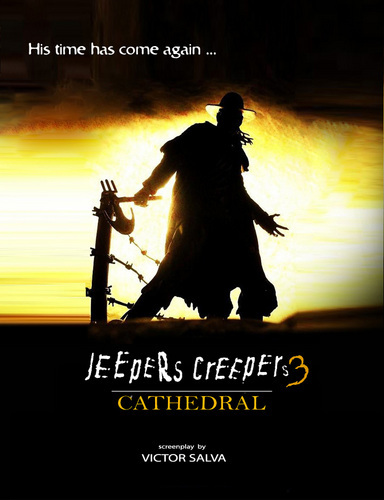 Jeepers Creepers 3. . HD Wallpaper and background images in the 恐怖电影 club tagged: jeepers creepers 3 cathedral sequels upcoming horror movies promos. This 恐怖电影 photo contains 日落日出, 日落, 日出, 动漫, 漫画书, 漫画, 卡通, and 漫画卡通. There might also be 标志, 海报, 文字, 黑板, 文本, 步枪兵, and 步枪手.